FINAL CLOSEOUT IN THE HERITAGE! $20,018 OFF THE LAST HOME AVAILABLE! Towne Lake is a Northwest Houston waterfront community located in the heart of the Cypress-Fairbanks area centered on the largest private recreational lake in Houston, amid the natural beauty of Texas Hill Country landscaping. Here residents can ski, sail, fish or hop in your boat to visit neighbors in this serene lakeside community. Private and public boat docks are available for boat owners and waterfront trails and parks allow for plenty of room to roam. For those 55 and better, The Heritage at Towne Lake is an exclusive enclave built as an active adult community– with the emphasis on active. The Lodge community center is the crown jewel of the Heritage and is abuzz with activity from sun-up well into the night. Complete with a lap pool and spa, fitness center, billiard room, arts & crafts room, library, and ballroom, the Heritage Lodge is where neighbors become friends. From dancing events to travel outings, an onsite lifestyle director is dedicated to creating fun events that build relationships. 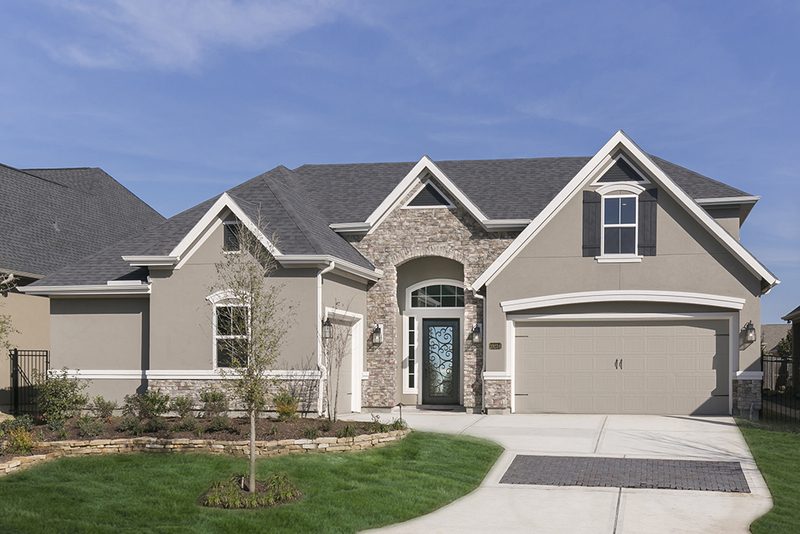 But hurry – only two completed homes from the $700’s remain in the Heritage! At Caldwell Homes, we understand the active-adult market better than anyone else. Through extensive consumer research to years of experience in this market, our homes are built specifically with you in mind. From full attic staircases to an abundance of storage, every detail of these plans has been meticulously designed to fit your active lifestyle. 19234 San Solomon Springs Ct.
Courtyard, Formal dining, study, covered outdoor patio, & 3 car garage,. Optional game room and bath, summer kitchen, & outdoor fireplace.